First off, I’d like to say that it has a very uplifting melody, the type of melody that makes the listener feel like they are flying. (As soon as I heard the song, I envisioned something very similar to that slow-mo jumping scene in the CM.) However, the lyrics that we’ve heard are possibly some of the shallowest lyrics we’ve ever gotten from them. ‘Kirakira no yume no naka de’ Nakata writes really creative lyrics, and I just feel like that line could be in any standard Jpop song. However, this leads me to believe that Perfume actually wrote this song. A while back, A~Chan requested to Nakata that they would like to write a song for Perfume, but I’m not sure if he accepted this request. And it also seems like Nakata is sticking with that Picopop sound that Laser Beam had – Going back to Perfume’s roots while still keeping it fresh, nice. And, to conclude this post, there is one thing, just one thing, that I dislike about this CM/song. This. The chorus of P!nk’s Who Knew and GLITTER are just… Too similar. And I can’t even say that song is bad – I’ve always loved that chorus melody, I’d just never known what song it was, nor did I love the song as a whole/P!nk herself. I think Perfume’s is more uplifting, but P!nk’s is obviously deeper in meaning, and I can’t honestly say I’d be too happy with this if I didn’t have the massive Perfume bias that I do. Either way, the song sounds great, and I can’t wait for the whole thing. Also, does this mean a new album? God I hope so. But even if it doesn’t, I’d be fine with a single, honestly. If they did release a single though, I don’t know how they would pull off an album (That’s 7 A-sides to put on the album… Not to mention the B-sides’ possibility). Whatever they do, I’m sure it’ll work. 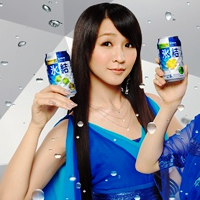 Perfume knows how to please their fans – They’ll do whatever’s best. Dear lord, this song is absolutely lovely. Hopefully he doesn’t plan to keep it as a CM like Lovefool or Laser Beam (well, then again, look how that turned out…). With the supposed/logical release of an album soon, I don’t see why this would just be a CM song… If Nakata is trolling us, I swear to God. LMFAO @ your reply to Sylfi, but yes, you are AMAZING! Your blog is truly sincere and very concrete while you yourself have deep meaning that accentuates itself beautifully. Thank you for posting this!! Oh, and I agree with you on all points!! LONG LIVE PERFUME! I swear, if the come to the U.S. and don’t come to California, I’m selling my car for airfare.